Women in History – Is a picture really worth a 1000 words? I am intrigued whenever I see photographs from the past—always have been. I cannot help but imagine what is behind a smile, a stance, the backdrop, the life of a person in a blurred, greyed photo. I’ll never forget when my grandma showed me a photo of her family standing in front of their residence in Ireland, their nanny holding one of my grandma’s siblings. The clothing and hair and how stilted everyone appeared. The photograph hinted of some wealth given the size of their house and having employed domestic help. 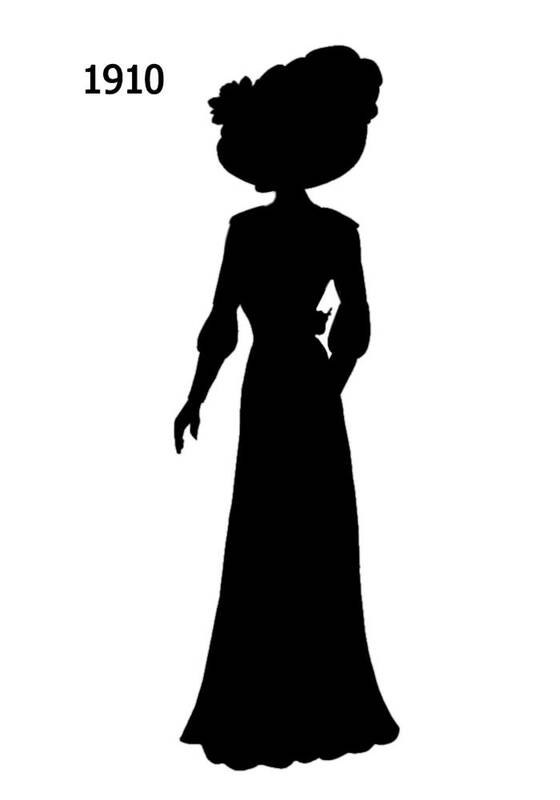 But it was the photograph of my great grandmother that stole my attention, with the long, elegant lines of her silhouette and full “Gibson Girl” hairstyle. There was a confidence in her gaze, one that was telling of the early 1900’s woman. I felt admiration yet I hadn’t known her. I felt awe, yet I hadn’t walked in her footsteps. I felt curious, yet I didn’t know why. Why should a photograph elicit such emotions? Evoke fictional stories if only for a moment? Perhaps it’s the unknown that is luring. Perhaps I want to believe there is a fascinating story behind every greyed photograph; a story of splendor, one of trials and grief and elation—that women endure hardship no matter their status in society. Of course, this is true for men as well, but since I write historical women’s fiction… Yet greater than the hardship, is their ability to claw their way through it and save themselves and often times more than not, save their families. What a woman wouldn’t do for her children! My great grandma proved that with her life during childbirth. It’s incredible to think that a simple photograph can pay such tribute to a life, that a single photo can carry-on a memory or in my case, create a semblance of a relationship where once there existed nothing. I always reveled in the idea of spending a day or week a hundred years ago—to jump back in time and live in that grey photograph. I suppose it’s no wonder my minor at university was Canadian history with my favourite course being women in history. Dates bored me, but diaries and journal entries from real women in history mesmerized me. So when I came across a photo of a woman who had spent ten months with her mother at the Ballaqueeny Hotel on the Isle of Man during World War II, I was hooked. The Ballaqueeny—a building that housed internees of mostly German and Austrian descent, was part of the internment camp at Port St. Mary—the town where my main character, Gillian Pugsley, makes her home. Unlike other photos and the countless articles I had read about the time period and camps, this one stood out. It was accompanied by a voice recording of the daughter who had stayed there. Hearing her voice as an adult looking back, somehow made the grey photo sharp as though it was becoming real to me—making the fantasy slip away. Please click on this link to hear Ursula Moeller’s account on the Isle of Man. So is a picture really worth a thousand words? In Gillian Pugsley’s case, I suppose it’s worth about 89,000. Very interesting blog ! I am not as intrigued by history the way you may be, as stated in your blog, however I am intrigued by old photographs ! There is always a story behind them and I find that intriguing. The photographs you are talking about are a part of our history, our link to family and yes as your sister I imagine all the struggles and hardships that our Grandparents and Great Grandparents endured, especially the women in our family. I think it is good to learn where we come from and who we come from and the struggles they endured, so we can appreciate our own families. Maybe in 100 years, someone will be looking at our photographs and imagining the same thing.